At UpRiver, our vision is to create a truly unique product and change the face of smoked salmon from an Eastern European delicacy to a more prominent American mainstay. We choose to bring to market many flavor profiles to accentuate our distinctive version of smoked salmon while changing the perception of its utilization in kitchens globally. We strive to recreate this classic gourmet delicacy in order to captivate a newfound interest in all generations. At UpRiver, our motto is that our customer is king: Our commitment to customer service is at the heart of everything we do. We pledge to uphold the highest standards of quality and freshness by using only natural, fresh & sustainable raw materials. We forbid the use of artificial flavors or preservatives. 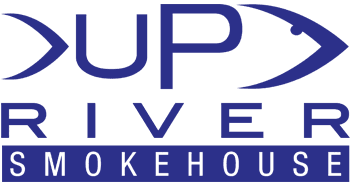 UpRiver Smokehouse operates under strict HACCP/SQF standards and are regularly audited by third party independent organizations. We guarantee our customer’s satisfaction by working closely with them to develop programs that exceed their standards of excellence. We are committed to our future growth without compromising the quality of our products. We pledge to provide a safe and rewarding work environment where employees are encouraged to develop their skills.